Rail India Technical and Economic Service RITES Jobs 2018 Notification. 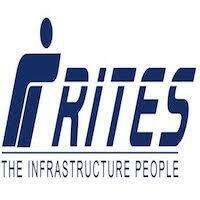 RITES is inviting applications for the positions of General Manager. Interested and Eligible candidates can apply for the positions. 2. Detailed Job Description: NF-SAG/SAG offl(M with 19 years of Group 'A' experience The officer should have experience in Railway Construction and Maintenance, The officer should be from construction/open line and having experience in Planning and execution 0t Civil He/she should have knowledge in contract management and should be able to handle cmstruction projects of large magnitude. Applications are to be sent through respective administrative Officer (HQjBoard) indicating NO Objection, Vigilance/DAR clearance and ACRS for the past 07 years. The applicants are also required to send their CV in the prescribed format along with the applications.